I know, your dad probably started the grill with lighter fluid. Probably enough that you could see the fireball when he lit it from space. There are better options available though that will not run the risk of leaving the taste of lighter fluid in your coal and will save you some money on those expensive bottle. Not to mention they light a lot easier. 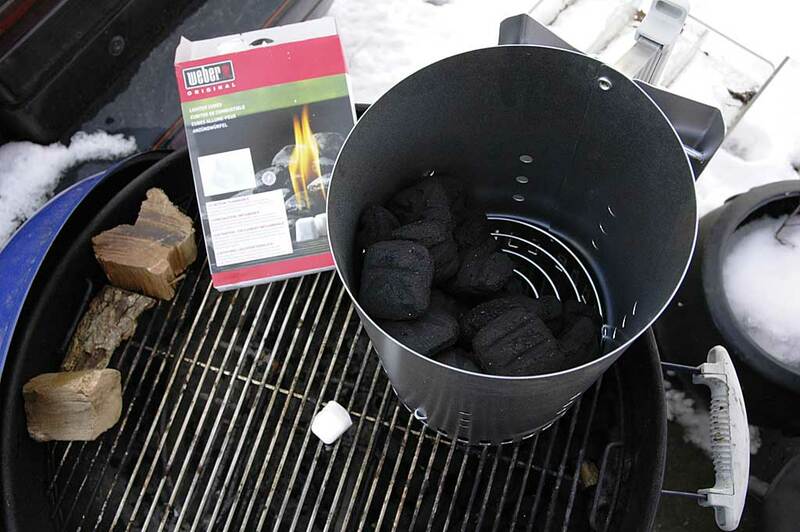 Today we're looking at Weber's brand of charcoal starter chimney. I've tried the cheaper store brands and been less satisfied. It is about $15. 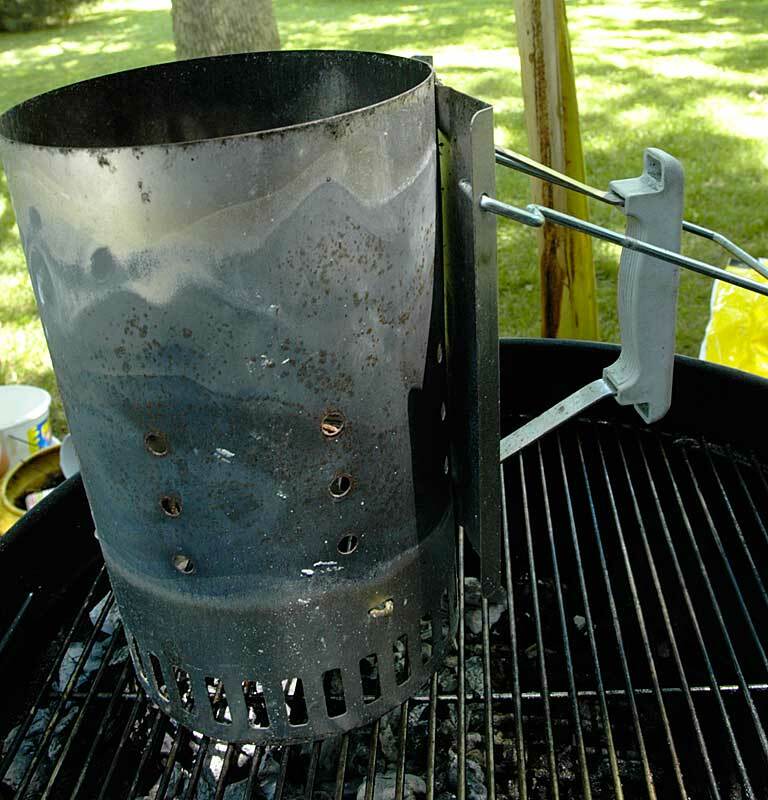 I've found the Weber chimney starts easier than the store brands, holds more charcoal, and the handle stays much cooler. 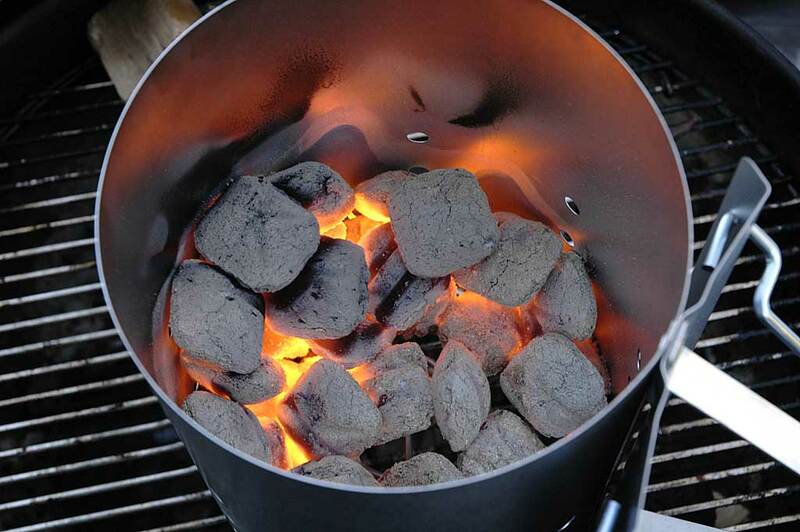 To use it you simply put in as much charcoal as you like, and put some newspaper or a paper towel with some vegetable oil on it under the chimney and light it. The natural draft effect of the hot air rising will pull in my oxygen and have your fire ready to go in 15 minutes. If you don't like the hassle of newspaper or paper towels to start it, I've found the Weber starter cubes to be an excellent product. Place 1 of these parrafin cubes under the chimney and light it and it won't fail to get your coals going. Currently 24 cubes cost about $3.50.